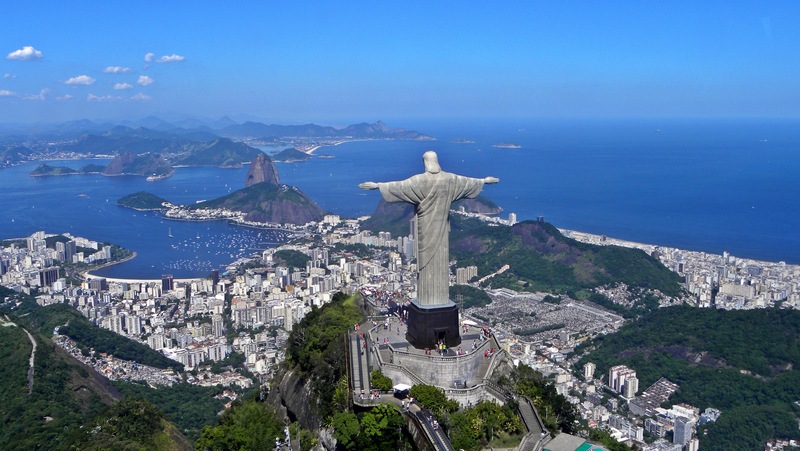 Christ the Redeemer, it’s a famous landmark in Brazil where a giant statue of Jesus Christ standing over 30 meters high, with his both hands extended, looking over the city of Rio de Jeneiro and its coast. If you have no idea what I am talking about, I believe below picture will remind you of the famous landmark in Brazil. I believe I have found the similar replica of the same in the city of Kota Kinabalu. 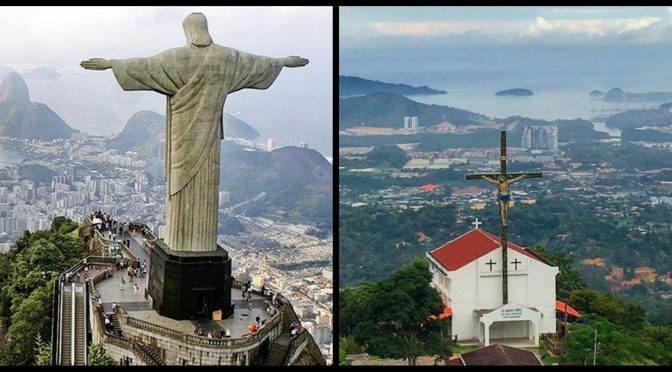 The picture on the left is the mentioned Christ the Redeemer statue while on the right, is our own local replica of the same view. The church concerned is St.Joseph church of Roman Catholic and this location is at Kokol Hill in the area of Inanam, Kota Kinabalu, Sabah.